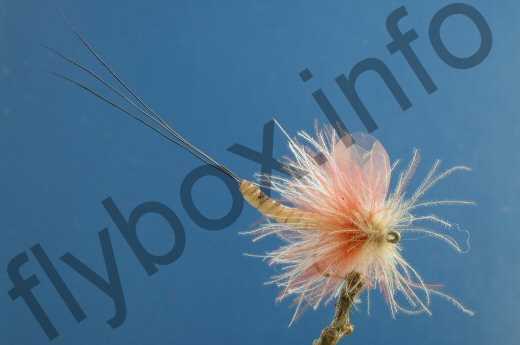 The Dry Mayfly is an attractive CDC mayfly pattern that was originally tied for a fly tying competition.It has been used very successfully on the River Test during the mayfly hatch. Tail : Three fibres of moose mane. Body : 3mm translucent nymph skin. Wing : Pearl film, cut to shape. Hackle : First, pale yellow CDC, second, claret CDC, third, olive CDC. Currently there are no comments about the Dry Mayfly fly pattern from other fly fishermen yet.